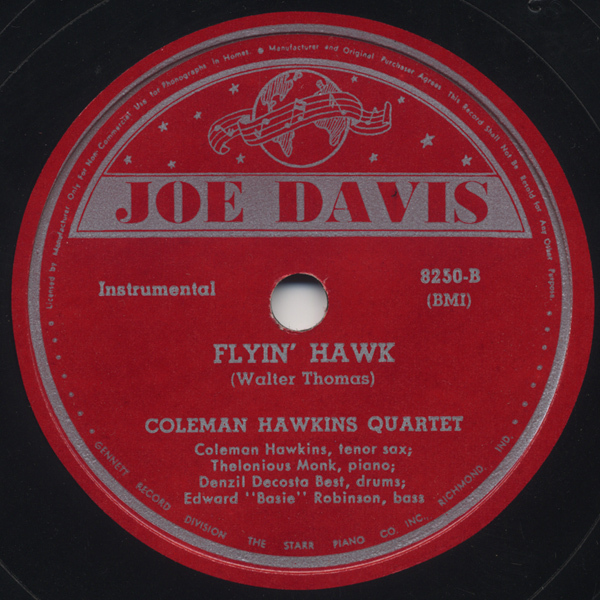 Coleman Hawkins (ts), Thelonious Monk (p), Edward “Basie” Robinson (b), Denzil Decosta Best (ds). 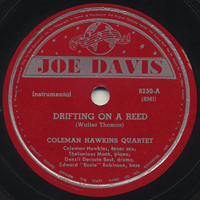 Recorded in NYC on October 19, 1944. 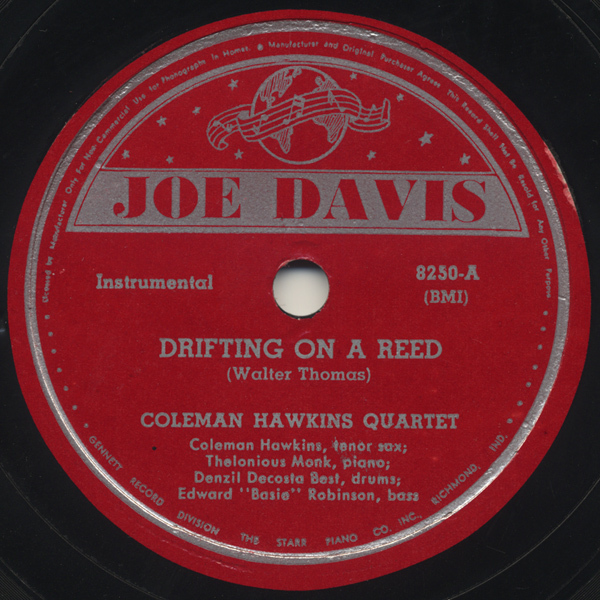 BTW Monk’s first official recordings (“On The Bean”, “Recollections”, “Flyin’ Hawk”, “Drifting On A Reed”) were issued on LP as “Bean and the Boys” (Prestige PRLP-7824), and currently available on various CD issues, including 3CD box set entitled “The Complete Prestige Recordings”. 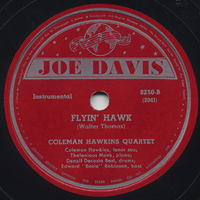 and tagged 1944, 78rpm, Coleman Hawkins, Jazz, Joe Davis, Thelonious Monk.